Flavor Flav's 19 year old daughter was arrested after a fight broke out in the family home last night. She hit someone during an argument and was arrested for domestic battery. WTF. 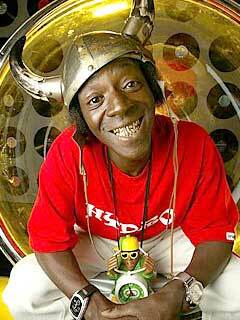 Flavor Flav reproduced. That is absolutely TRAGIC. I am not surprised that someone that came from that would get arrested...I am actually floored that his offspring hasn't been imprisoned since she turned 10.